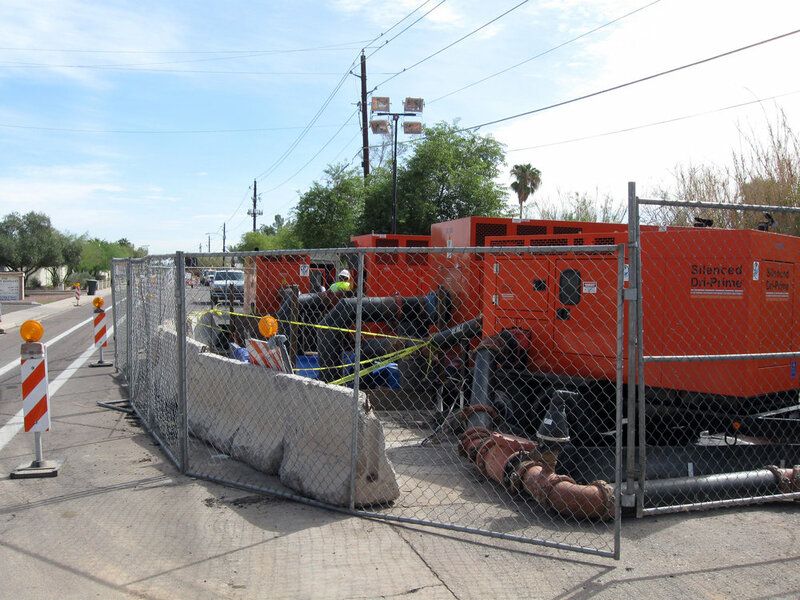 This JOC project included the rehabilitation of VCP sewer lines with Heat/Felt CIPP and UV CIPP methods, PVC lined concrete sewer pipe with T-Lock joint repairs, and the rehabilitation of existing manholes. 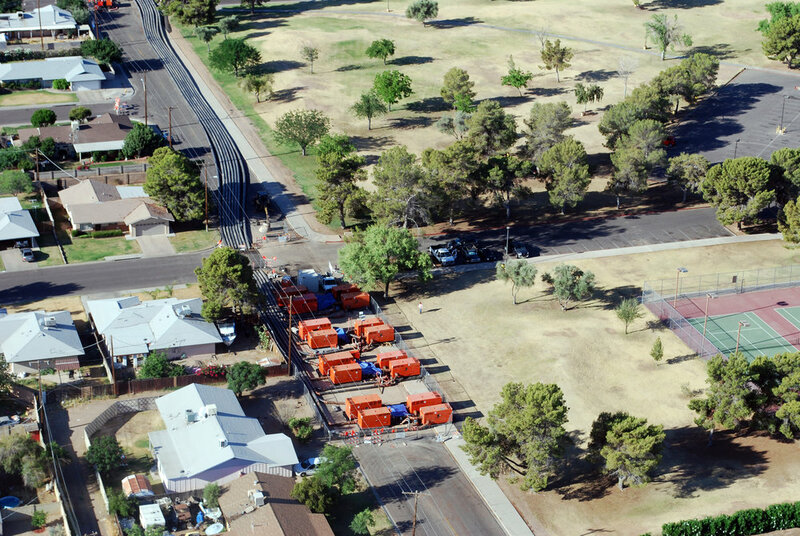 The project’s 35 JOs were located throughout the City of Phoenix and include pipe sizes ranging from 8" to 60". 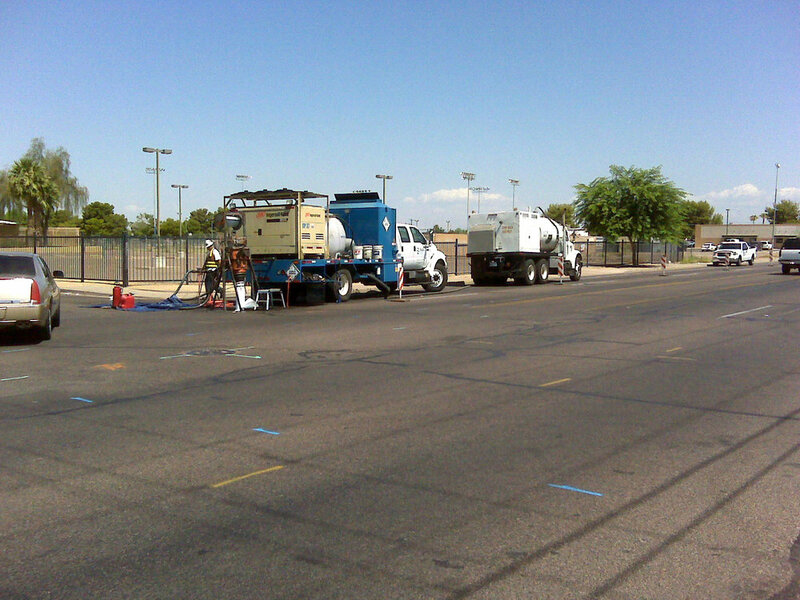 Total quantities include 203,900 LF of Heat/Felt CIPP rehab, 4,000 LF of UV CIPP rehab, and 37,500 LF of 30”-60” T-Lock repairs. 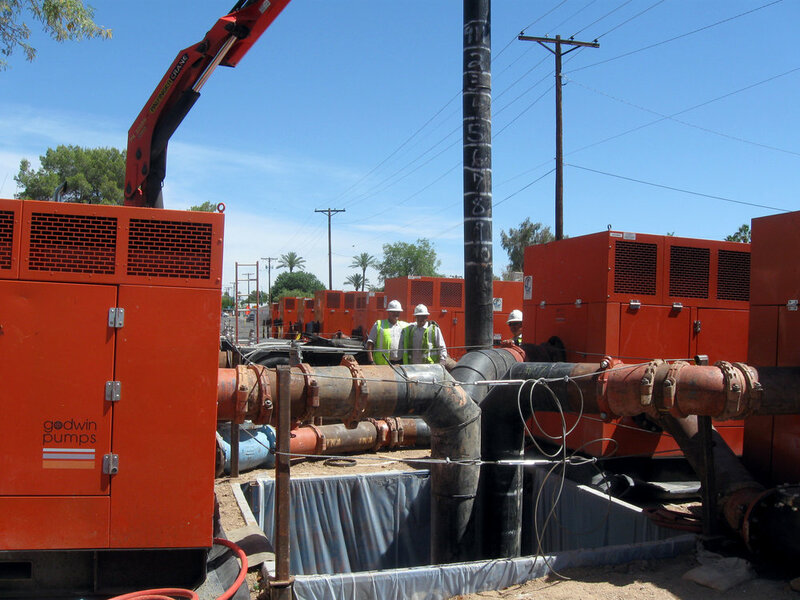 Achen-Gardner self-performed all flow managment for 19 T-Lock repair JOs with up to 44 MGD.